How will this football season shake out? I've taken ten of his greatest songs and given them an NFL spin ahead of Sunday's games. The Translation: As an untested backup, Kolb cashed in with a five-year contract worth $65 million. The Cardinals got...maximum suckitude. So maximum, in fact, that John Skelton supplanted Kolb as the starter. It'll be a saga out west with these two, but it sounds like Skelton's the guy. Kolb is just...overpaid...and he'll be standing on the sidelines. Probably not in blue jeans, though. The Translation: It's time for our annual installment of put up or shut up for the Houston Texans. They're loaded with talent, they play in a weak division, and the Mighty Colts are no longer the Mighty Colts. There are no excuses for the Texans. Stop being the whiny little girl who wants to be good and become the woman you're supposed to be. Okay, that was awkward. The Translation: The football may not be much fun to watch at MetLife stadium, but the ongoing saga of Tebow-Mania and how it affects/distracts/destroys Mark Sanchez and Rex Ryan should have a little something for everyone. The Translation: It's one game. It's okay. So you won't go undefeated. New England went undefeated that one season...and then you stopped that. You played with house money last year. Everyone loses sometime. 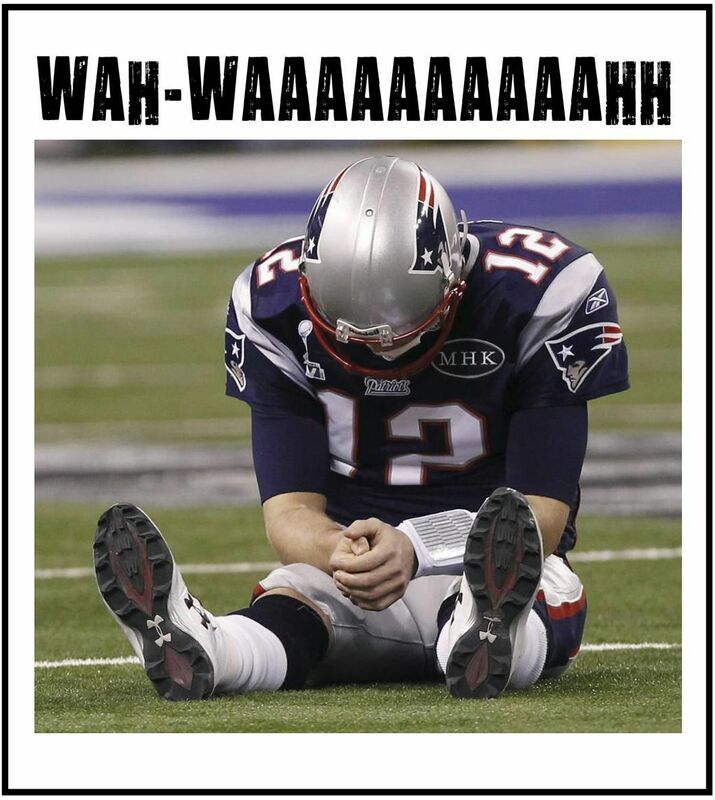 Chin up, chin up, Defending Super Bowl Champions. The Translation: RG3 will put the Washington Redskins on his shoulders, bringing a jaw-dropping skill set and incredible athleticism to DC. He'll do it with a smile. He won't let the burden of resurrecting this proud franchise get him down. The Translation: Fans and pundits will continue to haunt Alex Smith, who could throw for 4,500 yards and 35 touchdowns and STILL be considered a failure. 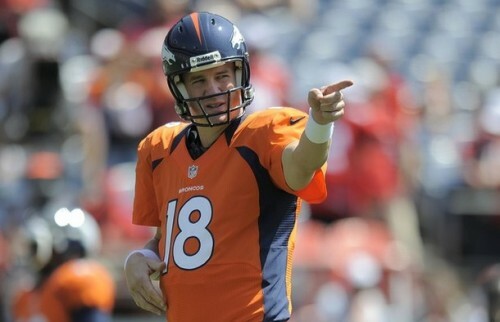 His team even entered the Manning Sweepstakes before begrudgingly signing Smith to a new deal. He'll be on the rocks all year. The Translation: The Packers can score, but can their defense do enough? We know their offense is a finely tuned machine. Basically, they should win the whole thing. The Translation: Tom Brady would like to forget the Super Bowl when Peyton Manning's little brother kept him from winning yet another Lombardi Trophy (on Peyton's turf, mind you, in the House that Peyton Built). Who am I kidding, though? 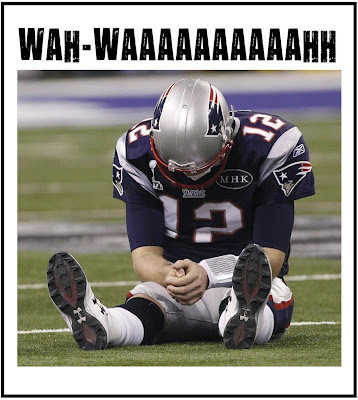 Tom Terrific won't let that whole Super Bowl letdown thing get to him. His three Super Bowl rings consoled him. The Translation: Someone had to replace Peyton Manning, and that someone is Andrew Luck. He has the unenviable task of trying to fill the shoes of the greatest quarterback ever to play the game. Skepticism abounded when the Colts went 2-14 and fans learned that Peyton wouldn't be coming back. Now, there's a buzz around the team...and it's because Luck has looked very impressive, turning some of us into believers. We'll just have to see if that will hold for the regular season. We'll let the guy on the left play ONLY if it's part of an "I'm not shaving till we lose" motivational stunt. The Translation: We had some good times, Peyton. I'll never forget them. I didn't cry when the Colts let you go. You didn't cry either. Jim Irsay didn't cry. NO ONE CRIED, OKAY? Can we all agree on that? So weird to see you in orange. We hope you do well. We'll still have those good times, right? Like when you beat Brady in the AFC Championship Game or that time no one tackled Marvin and he ran all the way for a touchdown. What about that Sprint commercial with the fake mustache? That time you danced on Saturday Night Live? We'll still have those, right? RIGHT? And that lame man, he's gonna fly") or Heartlight ("Come back again/I want you to stay next time/Cause sometimes the world ain't kind/When people get lost like you and me") or...hey, look...a Buick! And DirecTV!"